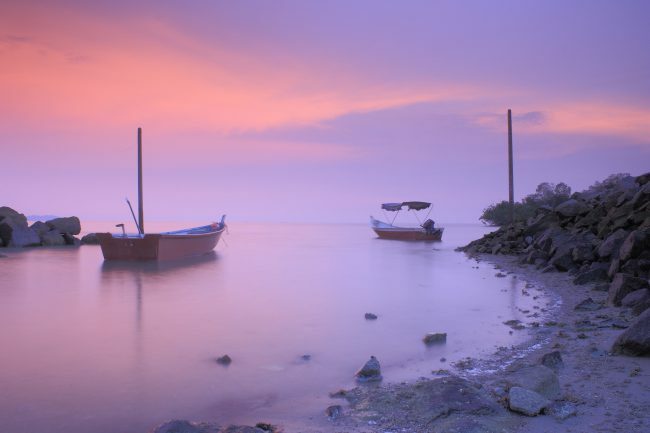 Port Dickson is an excellent destination for a relaxing beach break. In fact – it is one of our favourite places for a low key resort stay. This is because, in part, there is enough to do to enjoy a stay here without feeling like you have to go sightseeing all the time. I must admit, though, what really draws me to this area are the best hotels in Port Dickson. A Port Dickson resort list, such as what you find here, is just so full of fantastic options which are incredibly good value. 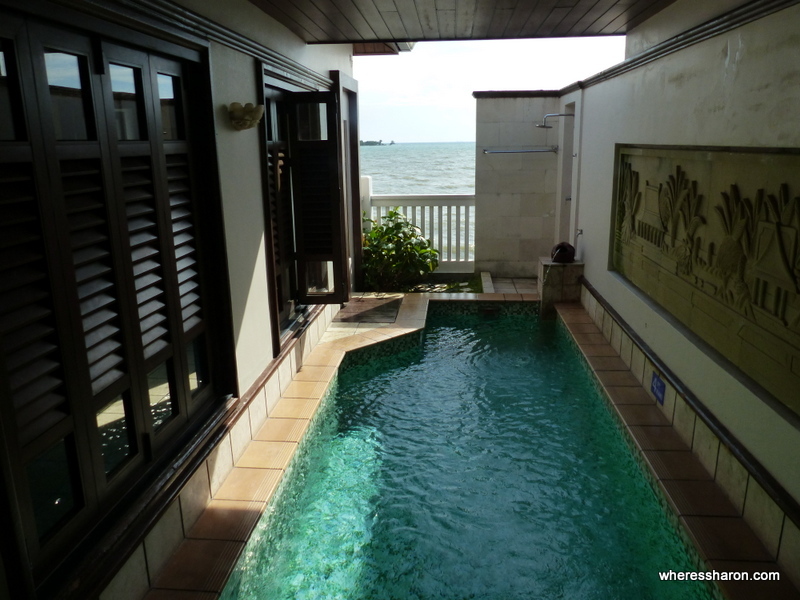 Even the more expensive options, which can include a private pool in Port Dickson in a water chalet, can be found for MYR600 (about AUD$200) which makes this a fantastic break for people who want 5 star luxury without a huge price tag. 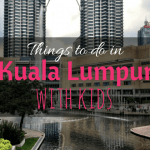 The other huge benefit is that Port Dickson is an easy drive from either Kuala Lumpur or KLIA making it a fabulous destination for a weekend visit in Malaysia or for a short Malaysian stopover. This article will help you decide the best place to stay in Port Dickson whether that is a 5 star hotel in Port Dickson, a budget hotel in Port Dickson near the beach or a stunning water chalet in Port Dickson. 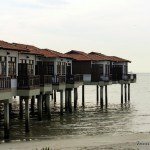 I hope this article helps you find the best hotel in Port Dickson for you! Port Dickson is undoubtedly a great place to stay, and to make the most of it is ideal to stay in an area where you can enjoy all that it offers. Port Dickson itself actually has some great attractions and museums, but the real fun is at the beaches. They are scattered around the surroundings of Port Dickson. For this reason access to the beach is probably the most important thing. A great beach area is Teluk Kemang. 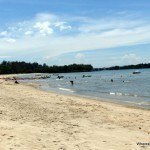 A Teluk Kemang resort Port Dickson offers can be sensational to say the least – and we have seen just how great they can be. An advantage of staying in this area is the focus on water activities and with local shops and vendors, food and souvenirs are easy. Another equally attractive place to stay is Blue Lagoon. A Blue Lagoon Port Dickson hotel can escape the crowds and offer a proper get away with the relaxation many of us are looking for. Better yet, a Blue Lagoon resort Port Dickson can offer extra amenities for better value. Si Rusa is another great destination to explore surrounding attractions, although it can also offer another peaceful escape. There are some great dining options nearby so you are not limited by the offerings of a resort. The best resort at Port Dickson I have stayed in facility wise was the Avillion. This is a fantastic hotel that is well maintained with little touches that make it special. With 3 pools and a waterslide there is heaps of time to spend in the water. For families with kids, the playroom is simple and offers some activities for kids. 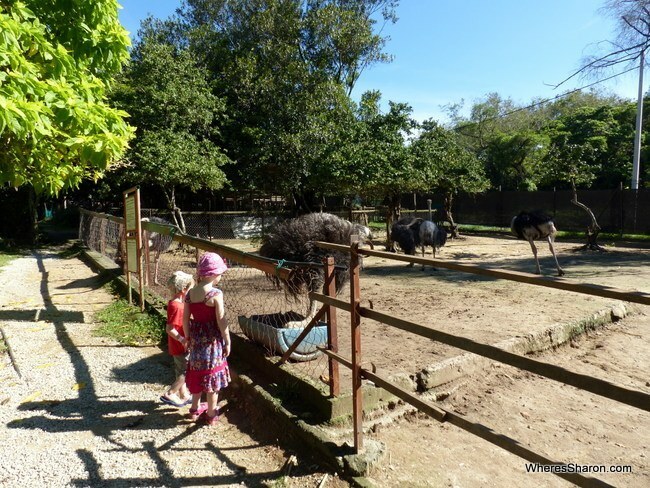 There is also a petting zoo in the mornings where you can feed the animals. You can imagine how much our kids loved this! We chose to stay in a water chalet and loved it. With a huge bed and windows looking out at the water, it felt airy but private too – not to mention safe. 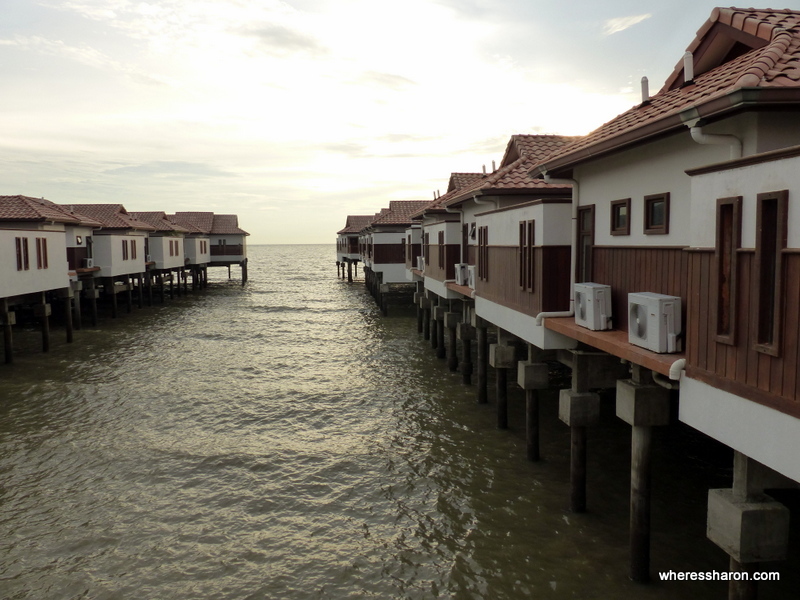 If a water chalet is not for you this luxury hotel in Port Dickson also offers garden chalets. In addition to the pools, this is one of the hotels in Port Dickson near to beach – and a nice one at that. You can read our full review here and see the latest prices here. If you want the best port Dickson hotel for value the Ancasa Residences is one to consider. This apartment style hotel has a great pool and is well maintained. The location is also convenient for access to the beach. The option of suites are fantastic for larger groups or even families that want separate rooms. With other facilities such as snorkeling and canoeing you won’t get bored. The resort has its own restaurants but outdoor options are limited – but at least the apartment style rooms can give you flexibility. For cheap apartments this is a good Port Dickson budget hotel with access to the beach. Click here for prices and to read more. Positioned over the water this hotel in Port Dickson with private pool access is an absolute standout and we just love it. It has some of the best villas we have stayed in anywhere in the world. This Port Dickson 5 star hotel is located closer to central Port Dickson so access to the main centre is easy. This top hotel in Port Dickson has facilities such as a spa, bar, restaurant, pool, water playground and bike rental – which is a great way to check out the surrounding areas. A Port Dickson hotel swimming pool inside the room is a frequent request and this is a hotel where it can be affordable. Many rooms have their own private pool so that you can relax and escape the heat at any time of day. If you have not stayed in a hotel with a private pool here it your chance! You can click here to see the latest prices or read our full review here. 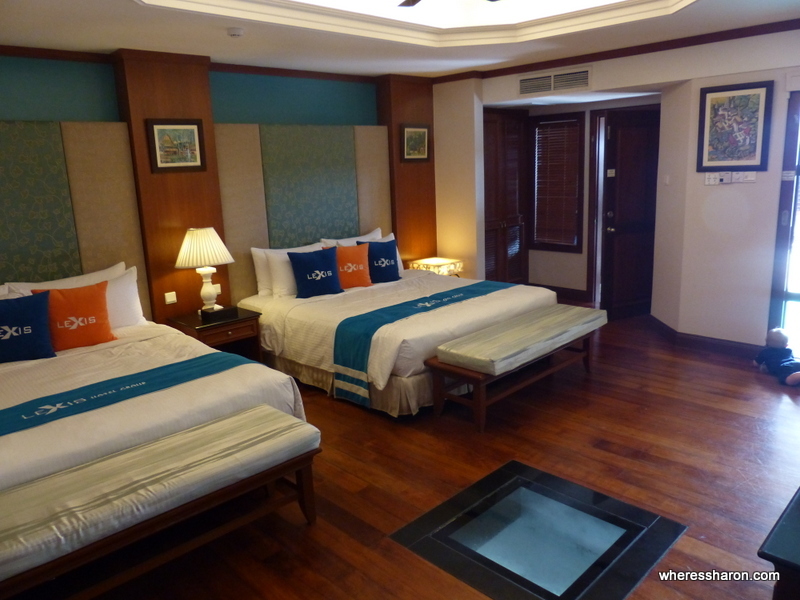 I had to do a Lexis Hibiscus Port Dickson hotel review – and I’m sure you will see why. Another 5 star choice, this hotel is not only impressive in its size but scenery too. The surrounding area is beautiful. With both water chalets and villas on offer, the hotel is suitable for all guests at different price points. The rooms are very inviting and comfortable and the resort has a sauna and beautiful pool. There’s also the chance to have a private pool at this resort as well. The scenery is spectacular. Another cool thing this hotel offers is a helicopter ride for only 200RM so that you can see it all! The resort offers so much more and is a fantastic option for a relaxing holiday. Click here to see the rooms and prices. On a budget? My pick for the top hotel in Port Dickson for value has to be the Lexis Hotel. It offers great value with a few extras to make the most of the accommodation and perfect for a weekend stay. 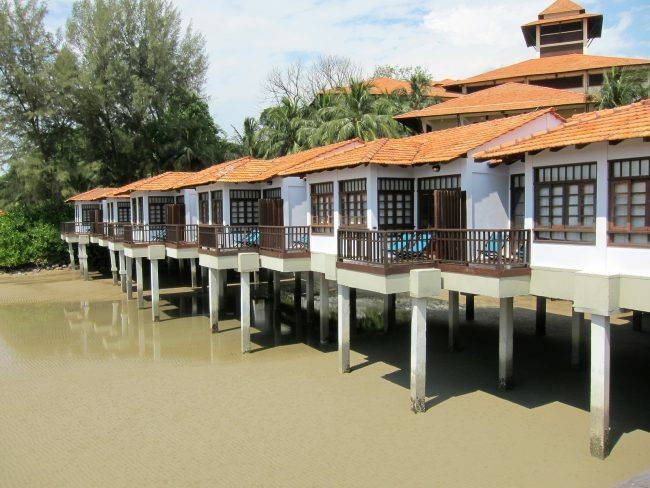 The hotel offers some of the best value water chalets in Port Dickson which you can arrive at with a buggy ride! The coffee house is a great place for a bite and an ideal place to spend the day relaxing. There is a great view but a limited range of activities offered by the hotel. For this reason I recommend this to be a place to relax, not play. On that note, you can choose to relax in the sauna or hot tub. Location could not be better as it is located among other resorts and right on the waterfront. See the latest prices here. Cheap apartments with good facilities can be hard to come by – but not impossible. What makes the Maya Apartment PD great is that although it is a cheap budget option you can forgo the resort luxuries and enjoy Port Dickson’s offerings in your own way – in your own apartment! There are one, two and three bedroom apartments available with the complex offering a great swimming pool. The apartments are nearby to a local restaurants and shops. This is a great budget place for a bigger group where you can spend less and get value for your money. Reviews often focus heavily on location and amenities and as these apartments lack those, the rating is low – but don’t let this turn you off. It is a great budget option. Click here to see the apartments for yourself. Budget hotels are always in demand especially for young travellers and the E-Hotel could be a great choice for you. The location is central and convenient for local shops, with a market next door. Although not the best located hotel for access to the beach, it is close enough to make it convenient. If you want to explore the main attractions of central Port Dickson with a cheap hotel this is your choice. For a budget hotel its good to see WiFi offered free of charged – but only in public areas. Keep in mind that the hotel lacks a lift, so it is not ideal for those that require one. See the rooms for yourself and their prices here. 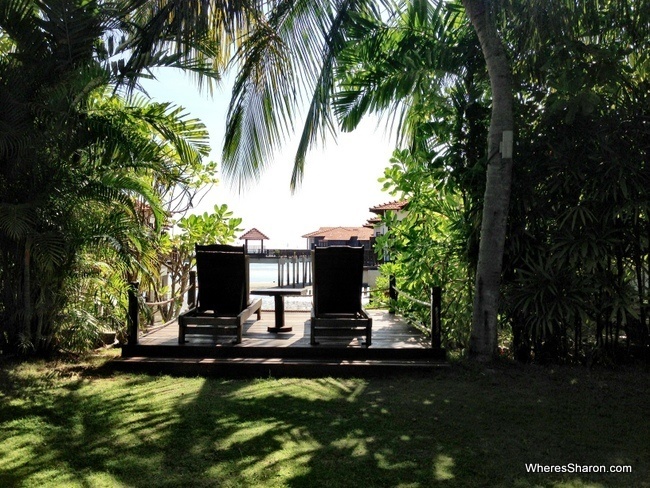 A 5 star option near Port Dickson, but not directly in it is ideal for many. The AVANI Sepang Goldcoast Resort is just that – if offers access to the amenities of the city whilst also offering an escape from it. You can choose to stay in absolute luxury or just absorb it with a choice of private rooms and villas over the water. The view from the balconies can take your breath away. The resort offers all the luxuries expected with a full spa, fitness centre, bike rental and activities such as kayaking. A buggy service can also be used to get around but this can be slow. Although the swimming pool is not the largest it is decent. Not only is this one of the hotels in Port Dickson near to beach – it has its own. This resort offers it all. Check out the resort and get the latest prices now. 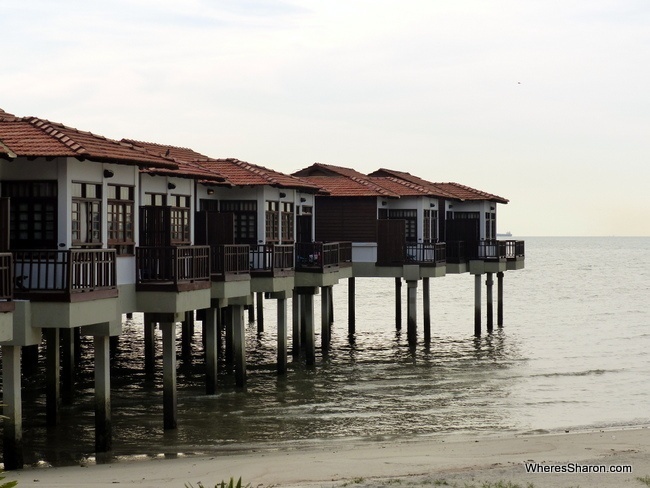 Finding a resort within budget can be difficult – but the Thistle Port Dickson is both cost effective and comfortable and a great way to spend your time in Port Dickson. This large resort has a welcoming foyer and free WiFi throughout the resort. With 5 different dining options and its own spa this is a full resort option – one where you do not have to leave. The resort includes access to a private beach, but for days you want to stay at the resort, there is a large wrap pool too – but think twice if you don’t like loud music. Nights can get loud. Location is ideal especially for families located near to the zoo and an ostrich farm and access to a 9-hole golf course can be another great way to enjoy the day. Click here to see the rooms and their prices. Perhaps the cheapest hotel in Port Dickson with great facilities is the Langit Langi Hotel. This is a budget option with basic but comfortable rooms, which are undeniably cheap. The hotel’s location is set further from the beach but they make up for this with a pool – which is great. As stated rooms are simple but there is the option to purchase a suite with its own Jacuzzi, which can be a great addition to a basic room. Breakfast is simple but inclusive. This is a budget hotel so do not expect luxury, but located close to central Port Dickson it offers a convenience for exploring the city or spending a day at the beach. You can read more about this hotel and see the latest prices by clicking here. 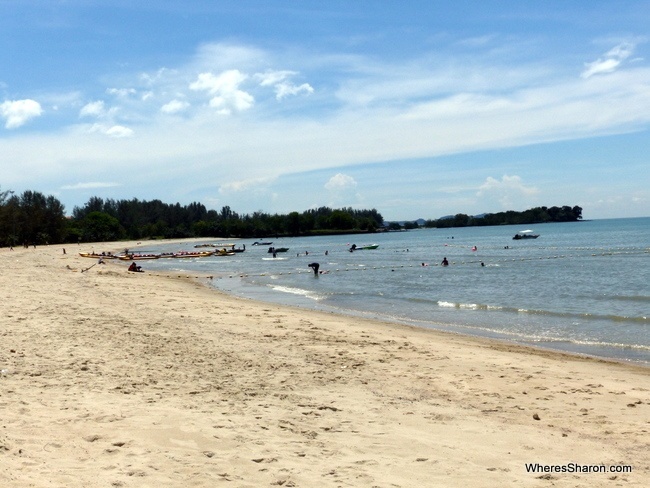 Most people go to Port Dickson with an idea of the type of holiday they want, and some just want a Port Dickson beach resort to fully relax. For this, I suggest private beaches as they avoid crowds and vendors. There are two great options, and although we all want luxury, we need to be realistic when we are all limited by our budget – although Port Dickson can offer fantastic value. 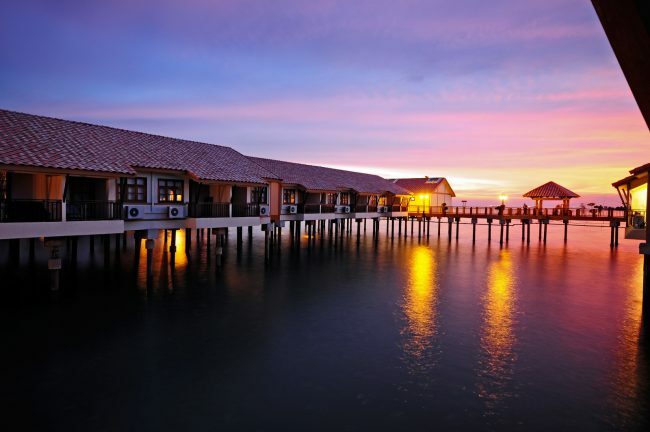 For a great luxury option consider the Avani Sepang Goldcoast Resort. 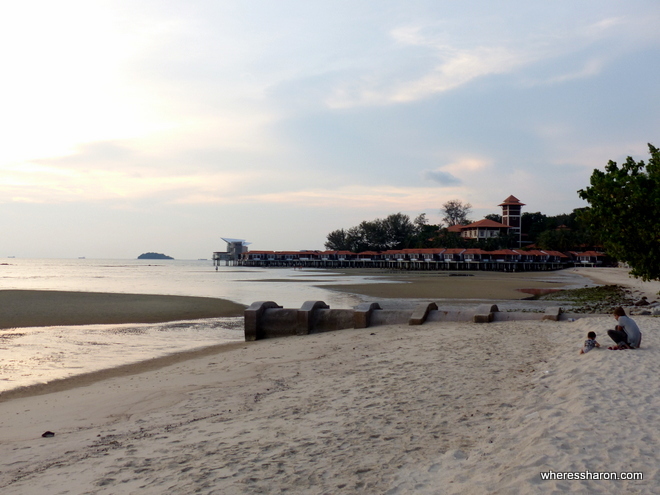 It is beautiful and not only being near port Dickson’s centre, it has its own private beach. Another cheaper option is the Thistle Port Dickson, which is cost effective and offers similar facilities and enjoys access to a private beach. An apartment at Port Dickson can be a convenient option for a few reasons. For larger groups it offers better value than having to have individual rooms and villas, as purchasing several rooms can get expensive. The best apartment hotel Port Dickson offers is the Ancasa Hotel Port Dickson. Here you will find a great pool, activities and facilities that make it one of the few Port Dickson apartment resort options. The luxury of a private pool can not be underestimated! In most places, the price range would prevent many of us (myself included) from even stepping near it. But that is what makes Port Dickson so appealing – a Port Dickson villa with private pool can be totally affordable. 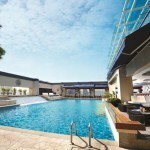 Check out the Hotel Grand Lexis Port Dickson and you can often find deals that can be well within budget. We love this resort! A budget hotel at Port Dickson can give you flexibility. It allows you to save money for your trip. You can leave your bags at the hotel and come back to sleep – and this is all some travellers want. After all lets face it, one of the best offerings of Port Dickson is the beach! My pick would have to be the Langit Langi Hotel. It still offers some great facilities and location to experience both the city and beach, giving you flexibility and value. It is a great option for travellers on a budget. 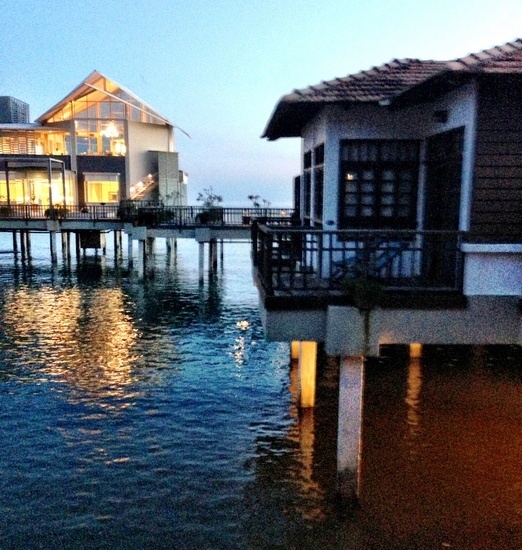 I can’t recommend the Avillion Port Dickson water villa enough. We loved our stay here and with huge open windows and comfortable beds to enjoy the beautiful water, it felt spacious, private and completely relaxing. I can definitely recommend choosing a chalet villa in Port Dickson at the Avillion resort – I am sure I will visit again. 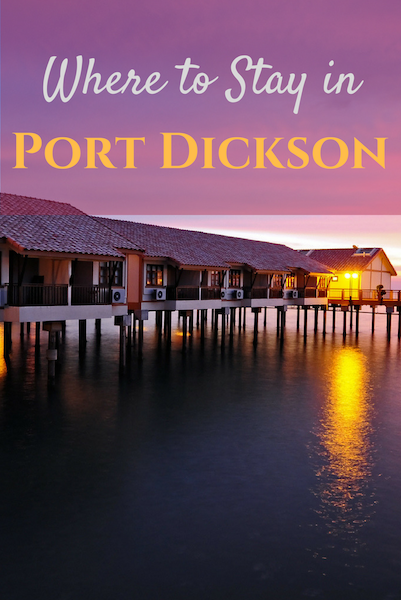 I hope this Port Dickson resort review has helped you find your personal best resort in Port Dickson. You can also read our guide to things to do in Port Dickson, our full review of the Avillion Port Dickson and our full review of the Grand Lexis. Disclaimer: This article contains affiliate links. If you make a booking after clicking on one then we may receive a small commission at no extra cost to you. Thank you for supporting our site and we hope you find it useful! hi for couple trip would u recomend avillion, grand lexis or lexis hibisuit?